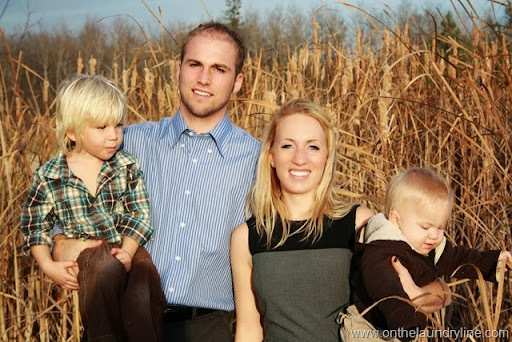 If you’ve been following my blog for a long time you may recognize Rachel and Dave and their older two boys (circa 2011.) They’ve popped up in photos on the blog a few times in the past. They’re some of our oldest and dearest friends. Rachel and I attended school together, Chris and Dave attended a different school together, and we all go way, way back. Colten and Nicole were born 5 days apart, Olivia and Brody are 9 months apart, and Jackson and Maverick are about a year apart. Rachel had by all accounts a relatively normal pregnancy. There was no sense of urgency or unwell, and when we put off plans to hang out one last time pre-baby because she’d had a busy day and was tired, I casually mentioned I’d be there to soak up my baby snuggles in no time. Sure enough, soon we got a text message announcing the birth of little Maverick. I was delighted and lost no time shopping for baby gifts, even excitedly buying matching little beach shirts for Jackson and Maverick like the enormous dork that I am. 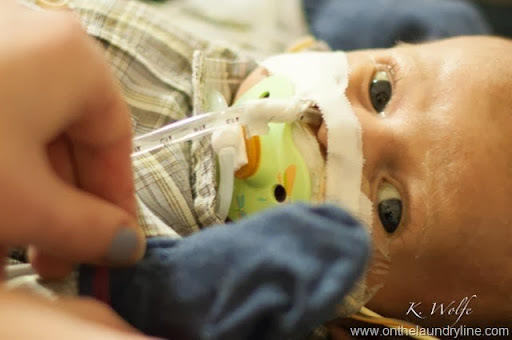 Not long after, we received word that due to concerns about his O2 levels, he was being transferred from the small hospital where he was born to our local hospital. Nobody was too particularly worried yet. Chris went out that night to go visit Rachel and Dave, since we couldn’t go see Maverick until he got out of the NICU and somebody had to stay home with our own kids. He wound up going out for drinks with Dave. I was annoyed when he confessed when he got home that he had completely forgotten to give Rachel the baby gifts and care package of non-hospital-food. We received word the next morning that Maverick had been airlifted to the Stollery in Edmonton. 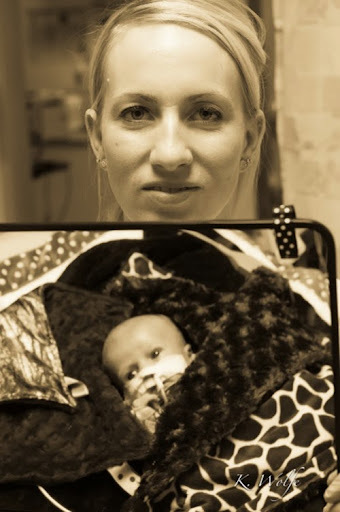 We were confused, shocked, and unsure how to deal with going about our day to day lives while our friends sat by waiting to find out if their infant son would live through the next day, sometimes even the next hour. It felt so wrong to live a normal life while they couldn’t, and there was nothing we could really do to help. My phone lit up with questions I had very few answers for, as we all sat by anxiously waiting, teetering on the edge of grief. Many of us tried to find little ways to try fill the need to do something, anything to help, knowing it was just a poor substitute for what we really wanted to be able to do. And we prayed, all of us, all the time. Maverick did live through hour after hour, day after day, baffling doctors and winning the hearts of the medical staff, not to mention hundreds of people across Canada and beyond. Four months later, he isn’t out of the woods yet, but he’s no longer in a place where the next few hours are continually critical. He’s had ups and some really serious downs, and his battle isn’t nearly done, but he’s still here. Here’s the story of Maverick’s journey so far. Artists and authors across North and South America come together using their talents and gifts to help families with children battling against heart disease. 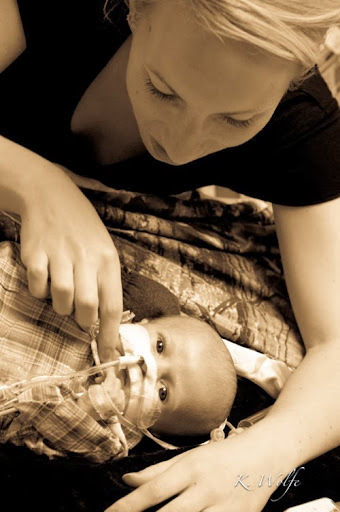 Heart Disease is the lead cause of infant death and is devastating to those families who go through it. An Auction will be held October 14th -21st 2013 in honor of Maverick. Currently he still resides in the Cardio Vascular Intensive Care Unit in the Stollery Childrens Hospital in Edmonton Alberta. June 7th, 2013 Maverick was born a healthy 8lb 9 ounces. Everything was perfect except for his heart. He was immediately rushed from Manitoba to Edmonton’s Stollery Hospital. He then underwent extensive planning for a long 9 hour open heart surgery on June 14th, 2013. The 5 major complications with his heart were: Double Outlet Right Ventricle, Narrowing of the Aorta, Coarctation of the Aorta, Atrial Septal Defect, Ventricular Septal Defect, left and right Coronary Artery complications. The open heart surgery they thought went well until the following day when to our horror Maverick went into cardiac arrest & his heart stopped for 43 minutes. The amazing doctors at the Children’s Stollery hospital of Alberta got him back, and put him on life support. 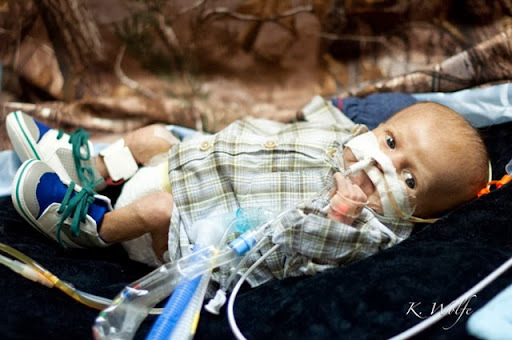 From there Maverick was on life support for 33 days. His parents were told endless times that he would likely not make it and not come home, that he only had a 5% chance of surviving. From there Maverick went through a multitude of other battles, taking everyone he knew and loved on an enormous roller coaster. They said, the surgery is long and risky. They said, the infection is bad, he will not make it. we said ‘ a whole army of host’s is a prayin’ for a miracle’. has surely shown them to be our little miracle. There hasn’t been much I could do for my dear friends. But now I have an opportunity to help out a little bit more and if you’d like, so can you. Emily Wierenga is putting together a charity auction called A Miracle For Maverick. From October 14-21st, an online auction will be held thanks to the generosity of Christian artists and bloggers across the United States and Canada in honour of heart families. All proceeds will go directly to Rachel and Dave Vanderzwaag to help their family and others continue the fight. A portion of the proceeds will go to the Cardiac Intensive Care Unit, the world renowned heart care program set up by Dr. David Ross and Dr. Ivan Rebeyka, and to other organizations that will directly help families struggling with CHD. And of course, your prayers are always coveted. Currently, Rachel and the boys are living in Edmonton. Colten is enrolled in school there and he and Brody are being cared for by family (what a blessing!) while Rachel is busy with Maverick. Dave works in Winnipeg and he flies back and forth to work and to be with his family. It’s very hard, but with the support of family, friends, the communion of saints, and most of all our Father in Heaven, they are making it through one day at a time. You can donate, or bid on the items from the Auction, beginning October 14th, by visiting the blog of Emily Wierenga at www.emilywierenga.com. For more information, please e-mail wierenga.emily@gmail.com. Thank you. If you’d like to donate something to auction, send Emily an email. A photo and description of auction items needs to go to Emily as soon as possible, if you have something you’d like to contribute. Auction goes live October 14. If you’d like to help spread the word about the auction, leave me a comment and I’ll give you a write-up. I’ll also have something to post around on Instagram and similar social media the week of the auction itself. Oh, this has me in tears. What a little fighter he is! He's been through so very much in such a short time. It's heartbreaking but he is touching so many lives. I will add my prayers and I will try my best to add something to the auction! I'd love to share about the auction and little Maverick's story on my blog and social media. My prayers are with him, Rachel, Dave and the whole family.